Funny Signs. This is a clear sign of smoking double standards! (This is a real sign from a foreign country that just had a very bad English translation.). 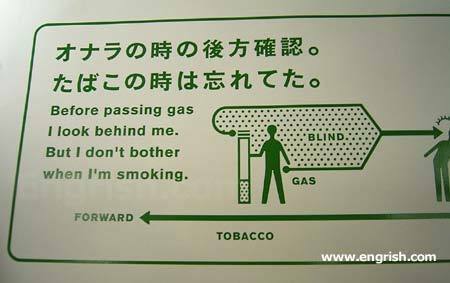 Wallpaper and background images in the Picks club tagged: funny signs engrish.com engrish real english translations passing gas. This Picks photo might contain dấu hiệu, poster, văn bản, bảng đen, and ký hiệu. erm...what does this have to do with picks?